Online retailers are aware that cybercriminals use stolen credit cards to buy expensive consumer products online and have them shipped overseas to resell, so many of them have stopped shipping to high risk areas. Many fraudsters now recruit re-shipping mules in the USA, UK, etc and tell them that they have a job "inspecting" packages and shipping them on. 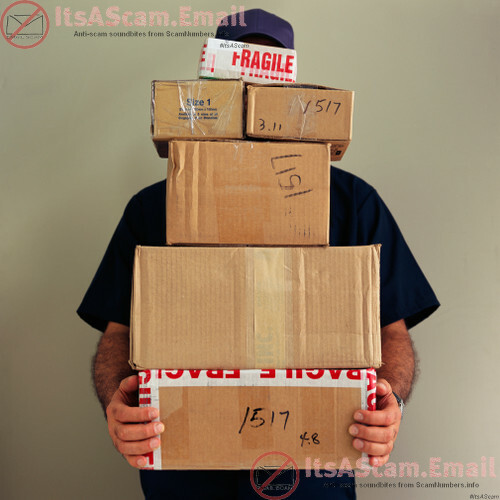 If you've found your perfect job, working from home for only a couple of hours per day, but being paid a full time salary and the job involves receiving packages for your employer and forwarding them to people overseas, then you are actually receiving stolen goods for criminals! Legitimate employers do not ask their employees to receive goods at their home address and then send them overseas, ever. If you become involved in a re-shipping scam, you will be the only one using your real details and the only one that the authorities can trace and charge!! !